Coronado, a fast-growing beach front community about an hour outside Panama City, Panama, offers a high-quality beach lifestyle with all the amenities and services a retiree could want. Historically, this coastal town has been a top weekend getaway choice among residents of nearby Panama City. Over the past half-dozen years, Coronado has developed into a busy commercial center that makes for a turn-key retirement choice. It is evolving into a full-fledged retirement destination with an established population of full-time foreign residents supported by a developed infrastructure, including good medical facilities. 2. 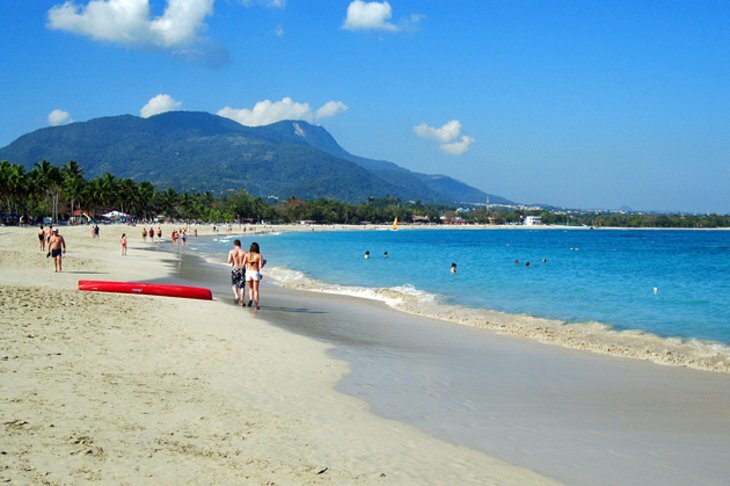 Sosua/Cabarete, Dominican Republic. Where the verdant green jungle hills slope into the crystal-blue waters off the north coast of the Dominican Republic rest the sand-fringed towns of Sosua and neighboring Cabarete. These are beachfront utopias. There are no high-rise towers, no big crowds and no worries. Life here is all about enjoying what mother nature has created in this world-class coastal spot. The life on offer here is also increasingly appealing to retirees. Expat communities are established and expanding, and planned developments are under way to cater to them. Retirees settling here can choose luxury living in planned communities where houses sell for $400,000 to $800,000, but also have much more affordable options in coastal developments where homes are priced from $130,000 to $150,000. 3. Hoi An, Vietnam. Hoi An is a pretty town on the central coast of Vietnam with long, clean, sandy beaches and tranquil rivers. The beaches are the general appeal in this part of the world, but, in Hoi An, it’s the town itself that is remarkable. Once one of the busiest international sea ports in Asia, Hoi An has been heavily influenced by traders who came here from Japan, China and the West. This was the location of the first Chinese settlement south of Vietnam’s Red River delta in the far north, and many of the buildings, dating back 400 years and more, remain intact. Entire streets in Hoi An are lined with ancient Chinese temples and houses, many still occupied by the descendants of the original settlers, giving visitors a tantalizing glimpse of a long ago time. Hoi An is an emerging, rather than an established, retirement choice. About 600 Westerners have settled here to date. But unlike in many areas of Asia, the expat community in this town is very involved with the community and with each other. For example, Vietnamese people are taking classes in bread-making hosted for free by a Western luxury resort’s head pastry chef and learning to play the piano. Another American who arrived here years ago runs a big used-book store, and, as more and more foreigners with families are settling in this historic coastal city, a new international school is opening. One of the greatest appeals of this beach city for retirees is the cost of living. This is a place where you could retire comfortably on less than $1,000 per month. 4. Ambergris Caye, Belize. Ambergris Caye is an English-speaking Caribbean island with an intriguing past and a promising future. Formerly a pirate hideout and a Mestizo fishing village, Ambergris has more recently been the host to two seasons of “Temptation Island” and is now one of the fastest-growing communities of foreign retirees in the world. Ambergris Caye offers a quintessential Caribbean lifestyle. Just offshore is the world’s second-longest barrier reef and all the snorkeling, diving, fishing, boating and swimming a beach-loving retiree could hope for. The cost of living on Ambergris Caye couldn’t be described as super-cheap, but it can be a bargain compared with elsewhere in the Caribbean. And Belize (like Panama) makes establishing residency as a foreign retiree super easy. 5. Phuket, Thailand. Thailand’s Phuket Island is an internationally famous beach destination and rightfully so. Beautiful sandy shores, separated by rocky headlands, grace the entire west coast of the island, the largest in Thailand. The surrounding Andaman Sea is warm, clear and inviting, one of Phuket’s main attractions. Onshore Phuket is a welcoming place that can quickly begin to feel like home, and more than 100,000 foreign residents have chosen to make lives here. Foreigners from across the globe have integrated into the local community, transforming Phuket into a multicultural, international retirement destination. Expats make up more than 21 percent of the total permanent population of Phuket Province. One of the biggest appeals is the cost of living. Rent, especially, is a global bargain. You can find a comfortable rental for as little as $350 to $400 per month, and most rentals come fully furnished. All costs considered, including groceries, utilities, entertainment and your own motorbike for transportation, a retired couple could live here on a monthly budget of as little as $1,000. For a very low cost, you can buy a big and interesting lifestyle. Everything you need is available on the island, including top-tier medical care and Thailand’s second busiest international airport. Roughly 25.1 million tourists from across the globe visited the Caribbean in 2013. While an impressive number, data from the World Tourism indicates that this represented just 2.1% of the global tourism market. That being said, it represented 2% growth over the 2012 figures and numbers for 2014 are also upwards. So which of the 32 Caribbean islands welcomed the most stay-over visitors? Well check out our list below compiled from Caribbean Tourism Organization data of the 10 most visited Caribbean islands for 2013. These islands with their global marketing campaigns were able to attract a whopping 62.57% of the tourists to the Caribbean region. Most of the Caribbean tourists came from the following three markets:United States (49.3%), Europe (18.9%) Canada (12.3%). So have you been to or will you be visiting one of these Caribbean islands on your next holiday? There’s no mystery about the Dominican Republic, the undisputed king of Caribbean tourism and most visited country last year. For starters, its hotel stock stands well above 60,000 rooms in all categories, from budget properties to over-the-top resorts, with more than 2,467 rooms in development by established brands and new arrivals; its seven international airports serve major carriers from numerous gateways in the U.S. and abroad; its topography includes 16 national parks, lush forests and 1,000 miles of beaches; and its 28 golf courses carry designer names and serve as venues for top-rated tournaments. The D.R. has merengue music, more than 40 brands of cigars, smooth rums, amber that can be purchased as souvenirs and ogled in a museums in Santo Domingo and Puerto Plata, top-rated museums, coffee grown from beans in lush mountain regions, indigenous settlements, baseball and a capital city with the first cathedral in the Americas and the newest (and only) subway system in the Caribbean. The Dominican Republic occupies two-thirds of the land mass that makes up the island of Hispaniola, with Haiti occupying the western third of the island. One island is home to two very different countries. Hispaniola, the name given by Christopher Columbus in 1492, is the second-largest island in the Caribbean after Cuba and the most populated island in the Western Hemisphere. It lies southeast of Cuba, west of Puerto Rico near the top of the Lesser Antilles island chain, which curves like a pearl necklace south to Trinidad and Tobago. Haiti, perhaps the poorest country in the Western Hemisphere and still struggling to recover from the earthquake that devastated it in January 2010, is slowly making inroads into tourism as it begins to attract some major hotel brands, including Marriott, Best Western, Hilton and Occidental. JetBlue, Delta and American serve Haiti’s Toussaint Louvertre Airport in Port-au-Prince from U.S. gateways. Air arrivals in Haiti topped 300,000 in 2013, according to figures from the Caribbean Tourism Organization, and cruise passengers totaled 643,000 last year, the bulk of them disembarking at Labadee, the private resort port in the north that is leased to Royal Caribbean International. But venture east into the Dominican Republic and it’s a far different picture. The D.R. welcomed 4.7 million tourists in 2013, trailed by Cuba with 2.8 million visitors and Jamaica with 2 million. It outpaced all islands in the region, continuing an upward trend of several years. Year-round, hotel occupancy averaged 87.3%, “one of the highest rates in recent years,” according to Garcia. He attributed the high occupancy in part to the recovery of the European economy, especially the German market, which registered a 16% growth in arrivals in 2013. The country has set a target of 10 million annual visitors within the decade, and Garcia predicted an 8% growth in total arrivals by the end of 2014. That prediction could well be met. Tourist arrivals for the first two months of this year were 6% above visitor numbers for the same period in 2012. The U.S. represented the largest source market at 1.6 million visitors, up 9% over 2012, followed by Canada’s 685,000 visitors. The North American market generated 56% of all tourists arriving in the D.R. Luis Emilio Rodriguez, president of the D.R.’s National Hotel & Tourism Association (Asonahores), said, “Tourism in the Dominican Republic is at its best moment.” At the recent Dominican Annual Tourism Exchange trade event in Punta Cana, he highlighted a tax incentive law that provides a 15-year exemption to companies engaged in tourism development, including hotels, attractions and tourist-related activities. The law also offers tax incentives to existing hotels and resorts that have been in operation for at least five years. A 100% tax exemption is available to existing hotels and resorts that are at least 15 years old and remodel or reconstruct more than 50% of their facilities. “Santo Domingo will be at the top level of Latin American cities in a few short years,” Garcia predicted, referring to the major urban renewal project underway within Colonial City, the historic central neighborhood of Santo Domingo and the oldest permanent European settlement of the New World. Part of the growth is the result of significant investments in the country’s infrastructure. Santo Domingo now can be reached from Punta Cana in a two-hour drive, thanks to a new highway linking the D.R.’s two most important destinations. The bulk of tourists fly into the east coast beach destinations. 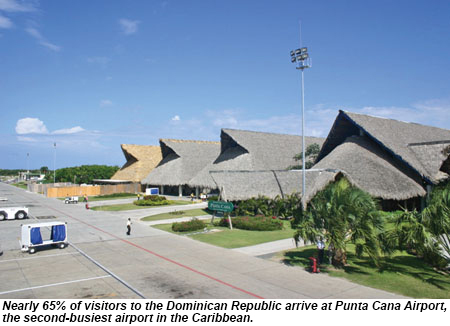 As of March, the Punta Cana Airport, the second-busiest in the Caribbean (San Juan’s Luis Munoz Marin is No. 1), was reporting a 13% increase in travelers since January. Close to 65% of all visitors arrive via that airport, which handled 2.5 million visitors last year. On the north coast, Puerto Plata has taken steps to identify new cultural attractions and make them available to tourists. Among them will be cruise visitors who will disembark at Carnival Cruise Lines’ new $65 million Amber Cove Cruise Center along the Bay of Maimon near Puerto Plata when it opens in 2015. The Santiago bypass, another road project, has cut driving time from Santo Domingo to Puerto Plata by 30 minutes, and work soon will begin on a new connection, shortening the trip even more. “The country is headed in the right direction. There is more work to do, but work is underway,” Garcia said. The 2014 marketing campaign, “Dominican Republic Has It All,” trumpets the country’s tourist centers on the east coast, primarily Punta Cana, and highlights roads less traveled in the interior and along the south coast, west of the capital. Aside from the marketing spin, a number of benefits are cited for the success of the D.R. as a revenue producer and for the high level of customer satisfaction voiced by tour operators, hoteliers and agents. The D.R. also is accessible. A recent expansion at the privately owned Punta Cana Airport has enabled greater airlift, and improved roadways “make getting to the resort areas a breeze,” Richards said. 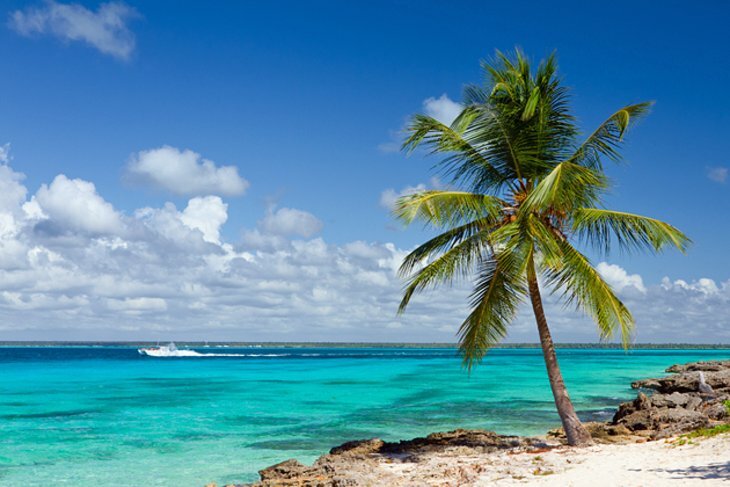 The Dominican Republic has been Pleasant Holidays’ most popular Caribbean destination in terms of revenue and number of passengers for two years in a row. “We continue to see significant growth in bookings,” Richards said. “Significant improvements to the country’s infrastructure resonate well with travelers. The destination is large, offering many yet-to-be-discovered regions that could benefit from further development,” he said. The D.R. is also No. 1 in activity options, especially golf. The country offers an impressive choice of challenging courses designed by the biggest names in course architecture. 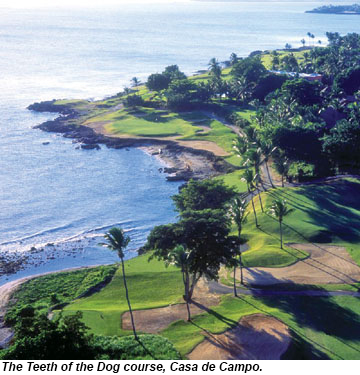 Richards cited Casa de Campo’s three championship courses designed by Pete Dye, including the infamous Teeth of the Dog, whose coast-hugging greens are as visually stunning as they are difficult. But visitors certainly don’t have to play golf to love the destination. What makes the D.R. such a standout among Caribbean islands is that it’s a destination for everyone, whatever their interests, ages or budgets. 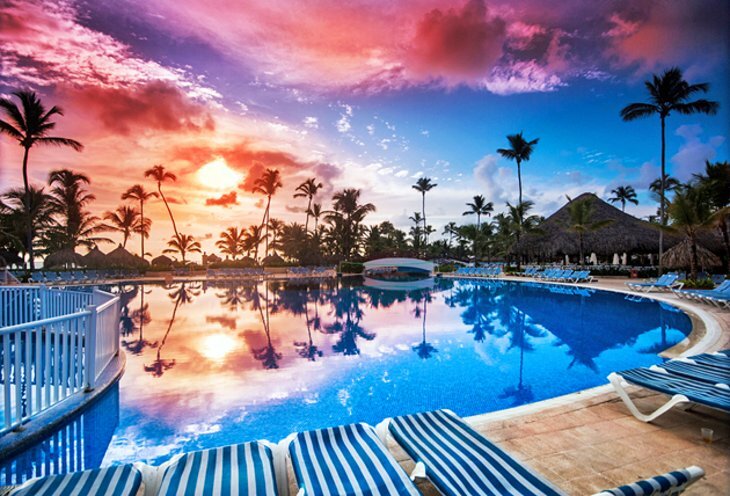 The company continues to expand its Punta Cana portfolio with the recent additions of Breathless Punta Cana, Sivory Punta Cana Boutique Hotel and the Westin Puntacana Resort & Club. 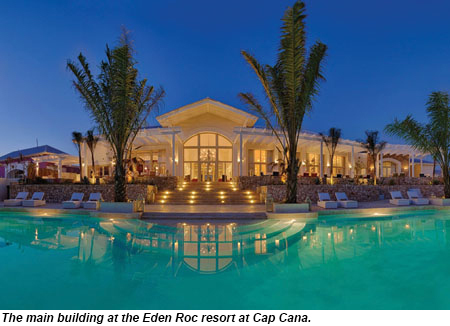 Journese, Pleasant Holidays’ luxury brand, added Eden Roc at Cap Cana. AMResorts currently has seven properties in the D.R., including Breathless Punta Cana Resort & Spa, the first resort in its newest brand. In addition, Expedia reports that the Dominican Republic is its top market in the Caribbean and that Punta Cana is tops among all destinations in the region. Expedia’s demand for the D.R. grew 33% in 2013, with the leading source markets continuing to be the U.S., Canada, France, Brazil, Italy and the U.K, according to Expedia’s Demetrius Canton, director of market management in the Caribbean. “The growth achieved last year in the D.R. is a testament to Expedia’s commitment to working closely with valued lodging partners in the region,” Canton said. The Dominican Republic is renowned as an affordable beach destination brimming with package tourists and enticing all-inclusive resorts. But the country is also a captivating blend of culture, history, and stunning natural beauty. 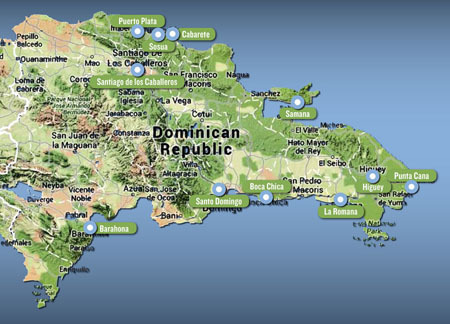 The main tourist magnets are the areas around Puerto Plata, Punta Cana, La Romana, and Samaná. 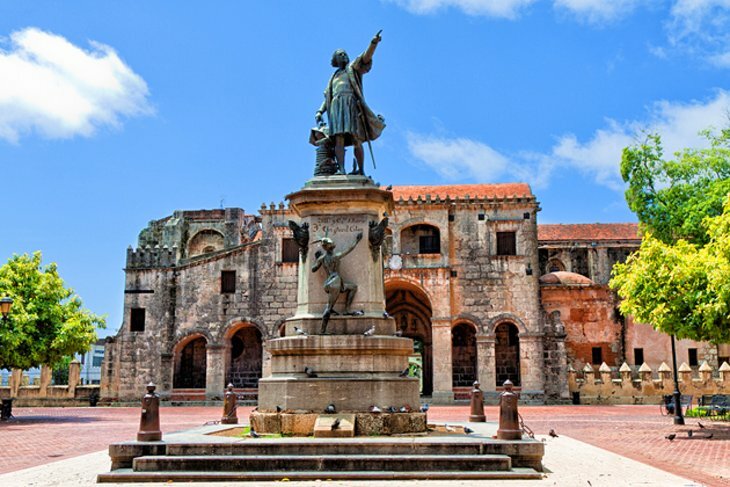 However, the country’s cultural jewel is the capital, Santo Domingo, a UNESCO World Heritage Site. In addition to well-developed beach resorts and world-class golf courses, the Dominican Republic is home to vast coral reefs, waterfalls, jungles, secluded islands, pine forests, and the highest peaks in the Caribbean. Thanks to these diverse ecosystems, recreational opportunities abound. Adventure seekers head to the mountains to raft the white waters of the Río Yaque del Norte. The rugged alpine terrain also lures hikers and bikers with its many mountain trails. 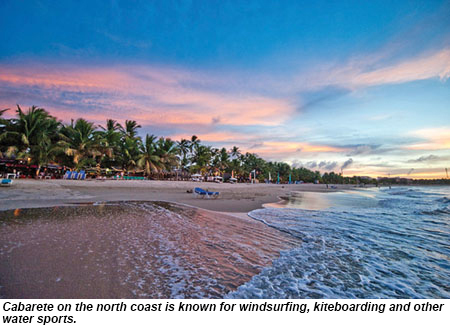 Along the coast, water lovers can snorkel, dive, kayak, kite board, sail, and surf. Blessed with this abundance of attractions and activities, no wonder visitors flock here from around the world. Santo Domingo, the oldest city in the New World, lovingly preserves the jewels of its rich history and culture. Top on the list of the city’s treasures is the historic Colonial City (Zona Colonial), a UNESCO World Heritage Site, with cobblestone streets, stunning Spanish Colonial architecture, and excellent restaurants. Perhaps the most significant site here is the First Cathedral of America, the oldest existing cathedral in the Americas. Also worthwhile is the Museum of the Royal Houses and the early 16th century Alcazar De Colón, built by the son of Christopher Columbus. The Plaza de la Cultura is museum central. Here visitors will find the Palace of Fine Arts, Museum of Modern Art, and the National Palace to name a few. Other highlights of the city include the Columbus Palace, Ozama Fort, National Botanical Gardens, and the Malecón, a picturesque seaside promenade. A UNESCO World Heritage Site, Eastern National Park (Parque Nacional del Este) is a prime habitat for hundreds of species of plants and animals, including 112 species of birds. The reserve also encompasses one of the Caribbean’s largest marine parks with an immense coral reef system. Four species of sea turtles as well as manatees, bottlenose dolphins, and numerous species of fish live in its tropical waters. In addition to this wealth of biodiversity, the park is the habitat for the rare paloma coronita (crowned, or white-headed dove) and the rhinoceros iguana. Besides the excellent diving and snorkeling, visitors to the park can view examples of pre-Columbian art in its system of caves, or relax on some of the park’s remote beaches. The sandy beaches of Saona Island (Isla Saona) are a popular side trip for visitors to the region. Punta Cana, on the eastern tip of the Dominican Republic, is one of the most popular tourist areas on the island. Packed with resorts, this large town is known for its beautiful beaches (palm-lined Bavaro is a favorite) and world-class golf courses. Nearby Scape Park offers a zipline tour, dune buggies, and a visit to the cool waters of Hoyo Azul Lagoon. Those seeking a slower pace can head north to the quaint fishing village of El Macao. Its public beach is a popular surfing spot. An airstrip with regular flights and charters flies pleasure-seekers to Punta Cana from around the world. Minutes from the center of Puerto Plata, Playa Dorada is one of the most popular beach destinations on the Dominican Republic’s north coast. This massive resort complex lies on a picturesque stretch of replenished beach dotted with deck chairs and coconut palms. Known as the country’s first tourism destination, the area is packed with amenities, including dozens of restaurants, a shopping center, and a Robert Trent Jones golf course. 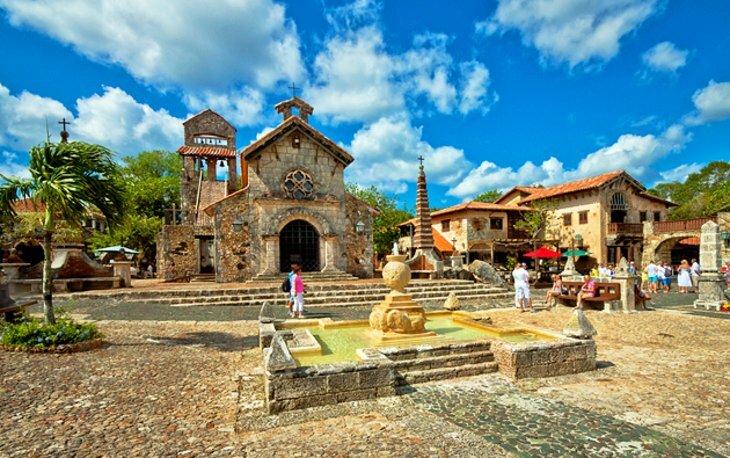 La Romana, on the southeast coast of the Dominican Republic, is home to the charming Altos de Chavón, a replica of a 16th century artisans’ village and one of the island’s best spots to shop for crafts. Visitors will also find the luxurious Casa de Campo resort here encompassing several hotels, beautifully landscaped gardens, a riding school, polo ground, and tennis courts. Dominican designer, Oscar de la Renta, helped decorate the rooms. Casa de Campo also boasts one of the top golf courses in the Caribbean, Teeth of the Dog, which dazzles golfers with spectacular ocean views. Isla Catalina, a cruise-ship port-of-call, south of La Romana, draws thousands of visitors a day. Studded with islets and fringed by palm-lined beaches, the waters of the humid Samaná Bay (Bahía Samaná) are a haven for marine animals. One of the biggest draws here are the humpback whales that calve here during January and February. This lush peninsula also encompasses popular Parque Nacional Los Haïtises, an ecological wonderland of jungle-covered islands, translucent waters, and thick mangrove forests. Also in the park are unique rock formations (mogotes) emerging from the sea, bird-filled caves like the Cueva del Angel, and pre-Columbian pictographs. 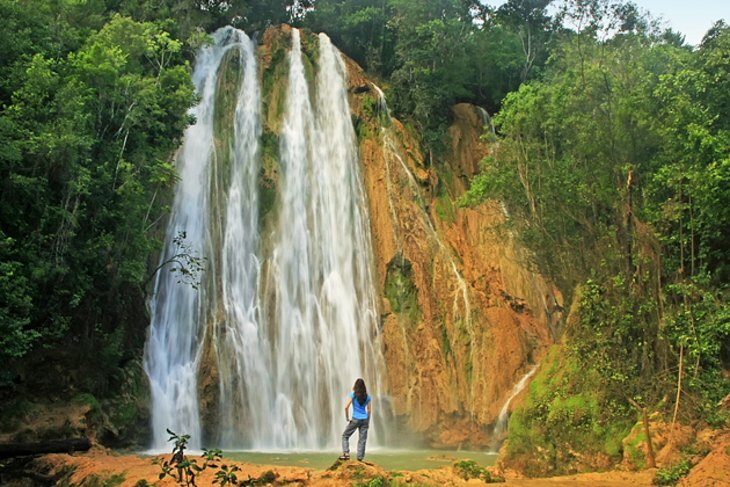 The Salto El Limón waterfall is also worth a visit as well as the postcard-worthy Playa Rincon, one of the most picturesque beaches in the country. Horse riding, hiking, biking, and birding are popular pursuits in the region. An emerging eco-tourism destination, Jarabacoa lies in the spectacular Cordillera Central, (Central Mountains) a landscape of sweeping pine forests, rivers, waterfalls, and the highest peaks in the Caribbean. The Dominican Republic’s only whitewater river, Río Yaque del Norte, offers gentle rapids for rafters. Visitors here appreciate the milder alpine climate, and the region’s rugged terrain, with many trails, is excellent for mountain biking, hiking, and rock climbing. On the Dominican Republic’s southwestern coast, near Pedernales, remote Bahía de Las Águilas is one of the country’s most magnificent beaches. 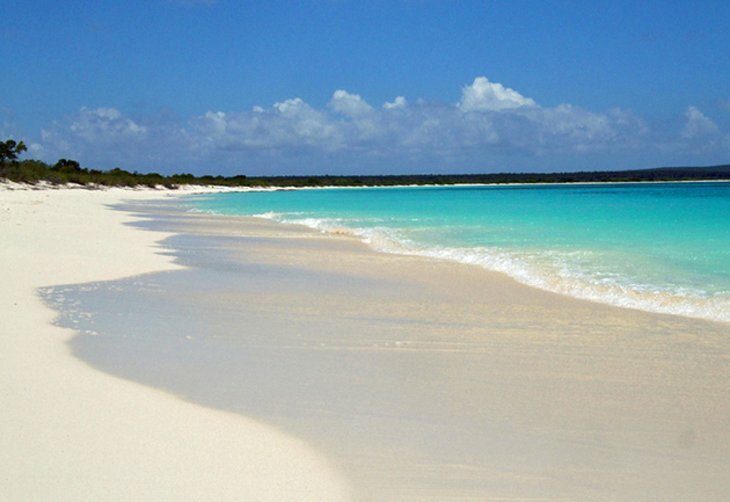 This six-mile-long stretch of powder-soft sand lies in the protected Jaragua National Park and is best accessed by boat from the small village of La Cueva. 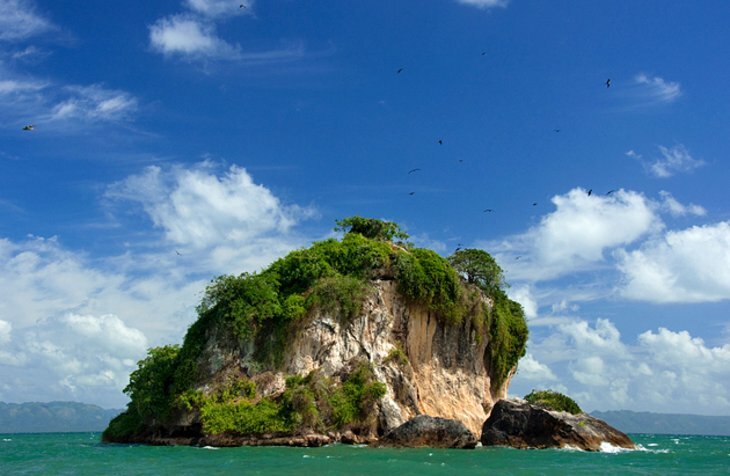 The shallow, turquoise waters teem with marine life and the bay harbors many species of birds. Due to its remote location in the national park, the beach remains completely undeveloped and unspoiled. Lake Enriquillo (Lago Enriquillo) is the lowest point and largest saltwater lake in the Antilles. 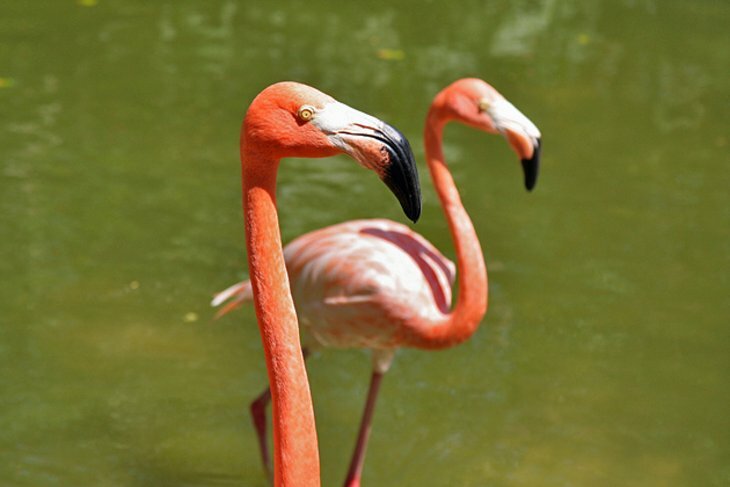 Flamingos and iguanas are found in abundance here, and an island in the center of Lago Enriquillo, Parque Nacional Isla Cabritos, has one of the largest wild reserves of American Crocodiles. The park is home to over 106 species of flora and 62 species of bird ranging from the Hispaniolan Parrot to the White-crowned Pigeon. 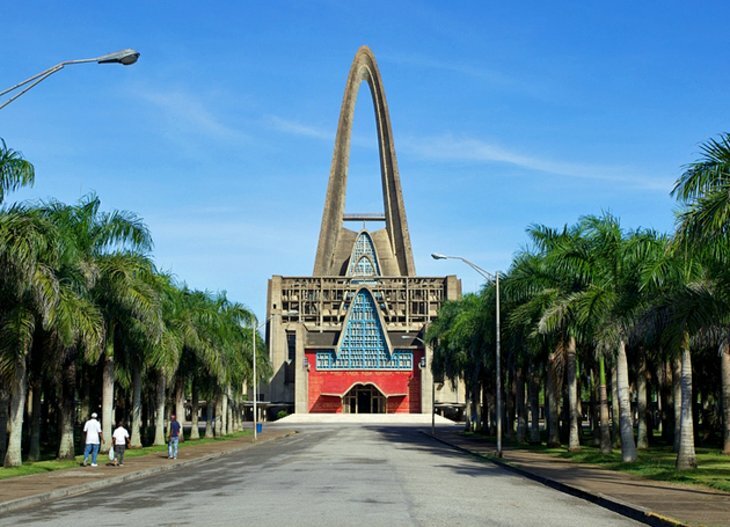 The modern Basilica de Nuestra Senora de la Altagracia is one of Latin America’s finest examples of modern religious architecture and a leading pilgrimage center in Latin America. Annually, on January 21, a pilgrimage from across the country attends Mass at the church. Are you one of those who plan for a vacation and enjoy your holiday, but in doubt about where to find a better place with great rental available? Then opt to choose to visit Dominican Republic and stay in one of Caribbean Team Management’s most sophisticated and exquisite apartments, penthouses, villas and studios. Either of those options, vacation rentals are available for you. Dominican Republic is a place known for its excellence in providing a best tourist destination for their guests and visitors. They are one of the countries, which cater a unique vacation experience to the tourists that visit their place. Aside from that excellence, they are also specialized in delivering a top-of-the-line and luxurious vacation houses to all. So, what are you waiting for? Engage in a holiday experience in the very inviting location as quality rentals are provided. 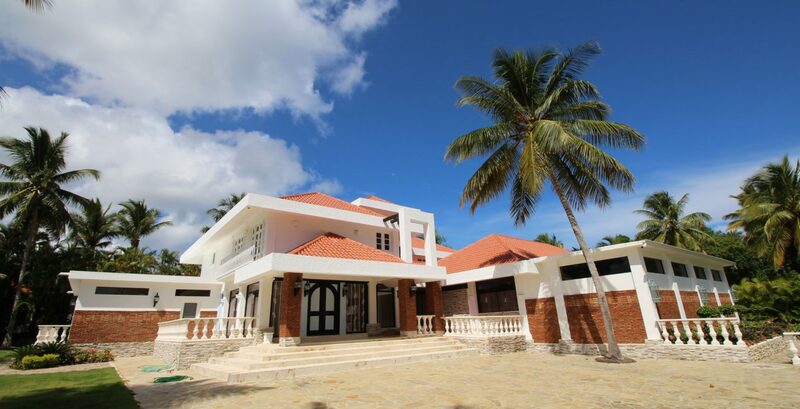 Whether you are on the mood to explore the timeless attraction of the villas in Dominican Republic, Cabarete, or Sosua vacation rentals, Caribbean Team Management is there to give you a perfect opportunity of vacation stay that you are looking for. They will provide you a clear reference of their luxurious and comfortable apartments, penthouses, villas and studious that suit to your budget. Prices, rates, and packages are available in any of your choice. Elevate the quality of your stay in one of their penthouse for rent in Cabarete. Discover the beauty and attraction of the place as it provides a perfect getaway for single, couple and even to the whole family vacation. When you opt to visit the place, you will experience the feeling of visiting a paradise as quality stay is coupled to your rental options. Caribbean Team Management has ample and perfect rental choices for your modern tastes. The luxury beach front apartment in Sosua will make you amaze with the jaw-dropping sceneries and adventurous water sports you can experience in spectacular beaches in the place. Plus, the fascinating apartments there will provide you a home away from home. Caribbean Time Management is equipped with modern facilities to make your stay even luxurious and comfortable. You will get entertained with the equipment available in the place. Your rentals now have a sustainable quality with the aid of the staff of Caribbean Team Management. Whatever type of accommodation you are going to choose, your options is yours to take, as they will help you all the way. From the very start of your stay, you have nothing to worry because you are fully assisted by the polite and friendly staff of the place. You will never regret about the experience you can get in this heavenly-featured place. The Dominican Republic vacation rentals are essential for those who look for quality rentals with stellar cost at the same time. So, what are you waiting for? Pack now and get a ticket, Dominican Republic is waiting for your arrival. Caribbean Team Management will help you with any of your rental needs.